Thousands of horses and riders converged in West Palm Beach Florida from around the world to compete once again this winter, making this season the richest and most successful season ever for Dressage in Florida. The ever-popular Wellington Classic Dressage (WCD) and Gold Coast Dressage Association (GCDA) shows at the beautiful Palm Beach County Jim Brandon Equestrian Center were joined this year by International Horse Sport Palm Beach (IHS) shows at the Equestrian Estates Horse Park. Combined, these three Dressage organizations host more than 23 weeks of competitions year-round, including 6 International CDI competitions. The premiere event of the winter season was clearly the World Dressage Masters CDI5* Series Presented by Axel Johnson Group. The World Dressage Masters is one of the richest Dressage Series internationally, with only 4-6 shows hosted around the world, each boasting over 100,000 Euros in Prize Money (approximately $140,000). The WDM CDI5*Palm Beach Show was hosted March 9-12, 2011 by Wellington Classic Dressage, with International Polo Club as Presenting Sponsor. 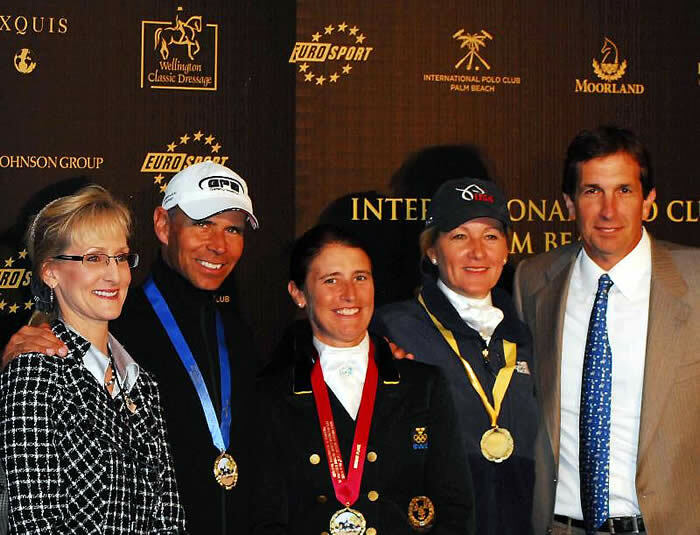 “We are honored to host this very prestigious show for 2011 and beyond, and to work with the WDM team and IPC to make this year’s event a resounding success,” stated John Flanagan, Managing Partner for Wellington Classic Dressage. What an honor too, that America’s top rider, Steffen Peters on Ravel, owned by Akiko Yamazaki, took home the top prize by winning the WDM Grand Prix Freestyle with a score of 84.53%, followed by Sweden’s Tinne Vilhelmson-Silfven on Favourit with 77.90%, and US Rider Tina Konyot and Calecto V with 76.65%. The 2012 WDM CDI5* Palm Beach is slated for January 26th-29th, 2012. Wellington Classic Dressage’s eleven-show series kicked off high season with the Wellington Classic Holiday Challenge in December and wrapped up the winter season with the Wellington Classic Challenge III on the 1st of May. The WCD series is held at the very popular Jim Brandon Equestrian Center, which boosts excellent footing and stabling, several competition rings, including a covered arena, riding trails and a Western Events area on over 111 acres. 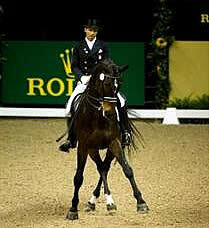 Gold Coast Dressage Association, the local GMO hosted their centerpiece show also at Jim Brandon, the GCDA Opener CDIW. International Horse Sport hosted Florida’s traditional favorite and longest-running CDI, the Palm Beach Dressage Derby CDIW, as well as 4 other shows at the beautiful Horse Park at Equestrian Estates in nearby Loxahatchee, which this year underwent many upgrades and improvements.